Peter E. Randall Publisher, 9781931807890, 199pp. Uncertain Journey is one of Kirkus Reviews' 50 best novels of 2012 and a finalist in two categories for ForeWord's Book of the Year Awards. 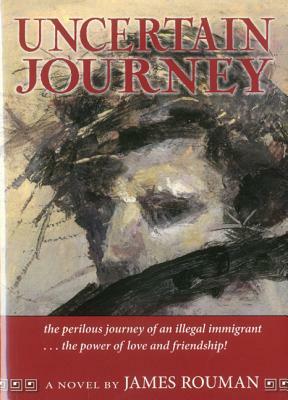 It is the story of the challenges Rejep faces as an illegal alien in places where he is unwanted. This fast-paced novel introduces the reader to a remarkable woman who helps him against the wishes of her Greek-American family--and to a host of memorable characters who live in the condominium where he works anonymously until his world, once thought secure, begins to unravel. JAMES ROUMAN was born and raised in Tomahawk, Wisconsin. Following service in the Navy during World War II, he graduated from Northwestern University Medical School and worked for a year as a ship surgeon before specializing in anesthesiology, which he practiced at a major tertiary-care center in Connecticut.